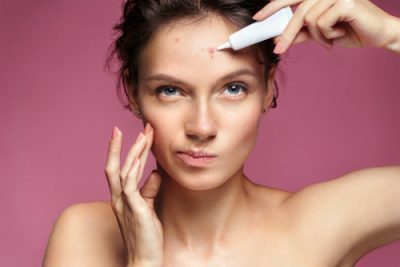 Everything To Know About Those Pesky Little Pimples & How To Get Rid Of Pimples, Causes, Treatments, Products & More! The first thing is to understand your skin. Understanding what kind of skin type you are is crucial to treating it. Your mother’s and even your twin sister’s skin type can greatly vary from your own. It’s not necessary that what works for someone else will work for you. Everybody has different skin and some of us can get away with using anything on our skin while some of us get pimples with even a slight change. Take some time and analyze your skin. Wash your face before you go to bed, don’t apply any products. Just wake up in the morning and see what your skin looks like. Is it very shiny or does it feel dry? This is a good indicator to understanding what kind of skin type you have. There are broadly 6 skin types and each of them needs to be treated differently. Normal, Oily, Acne-prone, Combination, Sensitive and Dry skin. Blessed with the perfect skin type, people with normal skin have next to no issues. Your skin behaves well through the year with minimal problems. Your skin doesn’t get too oily and it’s not dry either. 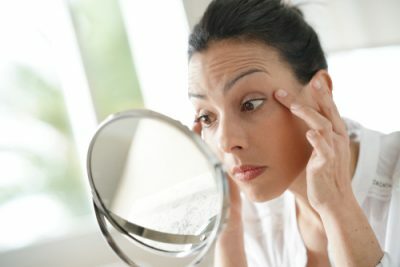 If you have oily skin, a few hours after washing your face you notice an excessive shine around your nose, forehead, and mouth, often referred to as your T-zone. Your makeup breaks down quickly and your skin doesn’t respond well to hydrating creams. All of this indicates an oily skin type. Does your skin feel tight and taut after washing it? If it does then you have dry skin. Your skin tends to look dull, flaky and bruises and scratches easily. Any moisturizer you apply absorbs right in. Dry skin usually means that your skin isn’t producing the necessary amount of sebum to maintain a healthy balance. A little dry around your cheeks and oily in the center? It sounds like a classic case of combination skin. Your skin has good areas and bad. Does the slightest change in weather, water or skincare irritate you and cause acne? Then in all probability, you have acne prone skin. You need to be careful of what you put onto your face as it might cause acne. Your skin is very sensitive to climatic and other changes. You might tan or burn easily and a lot of products can make your skin tingle. You need to be mindful of what you use on your skin as you may end up with a rash, burn or irritation. 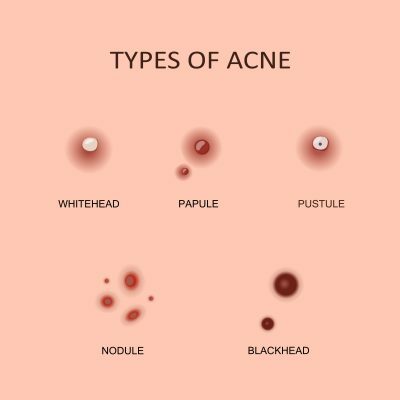 Now that you know what skin type you have, let’s understand what is acne, what causes pimples and breakouts and how you can treat them. What Are Pimples? What Is Acne? Pimples are those raised red bumps on your skin. When the sebaceous(oil) glands on your skin become infected, they get clogged leading to red pustules. This is acne. They can be above or below the surface of the skin. You can get acne anywhere on your body, but most commonly you see it on your face or back. Usually filled with pus, pimples are painful to get rid of. 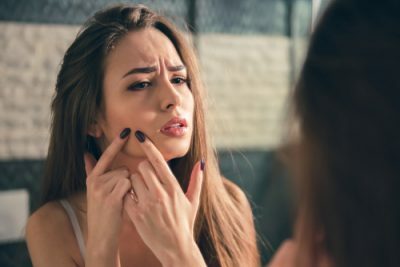 What Are The Causes of Pimples? There are many reasons why your skin may be breaking out. Finding out exactly what is the cause for your pimples might take some work. It will take a little trial and error to understand exactly why you are getting acne. Some common causes of pimples are as follows. When your skin produces too much oil, also known as sebum, it messes up the balance on your skin. Too much sebum production can cause dirt, dust and oil to get trapped under your skin clogging pores and causing acne. Not washing your face enough or washing your face too many times a day can also cause acne. Maintain a good level of hygiene and keep your face clean to avoid pimples. Wash your face twice a day with a cleanser designed for your skin type. Do you wear makeup every day? Your makeup can be causing you to break out. Using the wrong product or bad quality of products contributes to clogged pores thereby causing acne. Sometimes, improper removal of makeup also contributes to clogged pores and then acne. The wrong sunscreen can cause acne too. There are many types of sunscreen, physical and chemical. Some suit your skin and some may not. Check out this post to know more about the types of sunscreens in the market. Constantly allergic to something? This may lead to tugging and pulling on your skin which may increase sensitivity and cause breakouts. Allergies could indicate low levels of vitamins and minerals in your body and that is also known to cause acne. A poor water intake could lead to dry and dehydrated skin. Skin that’s dehydrated can look dull and even break out into pimples. Try to increase your water intake to about 2-3 liters a day and see if your skin improves. Vitamins, Antibiotics and hormone medication too can sometimes aggravate pimples. Check your diet to see if you have added any new medication that could be causing your pimples. If you have changed your diet lately, it may be another cause of pimples. Eating a lot of oily fatty food might increase your chances of getting acne. Lactose intolerance, sensitivity to insulin are a few other contributors. Pimples are usually seen in young adults and teenagers who are going through a hormonal change as they age. However, anybody can get acne at any age. The easiest way to rule out hormonal imbalance would be to go to a doctor and get your hormone levels checked. A spike or drop in your hormones is the most common cause of acne. Some people are genetically prone to acne. Check with your family, ask your mum, grandmother or relatives what worked and didn’t work for them. Check with your doctor for a solution to this. If you have been overworking yourself, stressing out too much; this could also be triggering your skin. Try to indulge yourself in a recreational activity like Yoga or meditation to take some of the stress off. A lot of times, people with sensitive skin tend to get pimples because of allergies and sensitivity to things like excessive dust, pollution or contaminated water. If your pimples are caused because of dust or pollution, you will have to go the extra mile to keep your skin extremely clean and as less exposed to these contaminants as possible. Blackheads and whiteheads are the least severe forms of acne. Most commonly located around the nose and chin, blackheads and whiteheads affect people with oily skin. However, like pimples...they too could appear on any part of the body. Whiteheads are raised white spots or bumps known as closed comedones. Blackheads are open comedones that have a blackish appearance. Read this post to know the difference between whiteheads and blackheads. Inflamed clogged pores that are filled with pus are called pustules. Pustules are like larger whiteheads with a defined center. Papules, on the other hand, are bumps under the skin’s surface and have no visible centre. Deeper pimples that go under the surface are called cysts. They are large, soft and harder to get rid of and can be painful. Nodules are hard lumps under the skin’s surface and while they aren’t necessarily painful, they can leave behind nasty scars and blemishes. Hormonal acne is usually caused by a spike in hormone levels around the time you get your period. If the testosterone or estrogen levels spike, even that could lead to acne. It’s best to go to your gynecologist and get a blood check up done. Possibly the worst among the different types of acne, cystic acne is deep within the skin. Your pores get inflamed and dirt gets trapped within them causing deep pus-filled spots. Cystic acne can sometimes be painful to touch and it is the hardest to cure. You would need a dermatologist to help you get rid of this kind of acne. How to get rid of pimples? Or How to prevent pimples? There are numerous ways you can get rid of pimples naturally. Just don’t pick at them or touch them often as you may end up spreading bacteria. Some methods of getting rid of acne include home remedies, dietary changes, better skin care, medicated treatments and sun protection. This cream is made using turmeric and it’s one of the oldest Indian remedies for any skin troubles. It helps you get rid of acne, cuts, bruises and any blemishes. It can be used on your face and body to help accelerate your skin’s healing process. This is an affordable spot treatment gel that has neem, tulsi and ginger extracts to regulate sebum production and get rid of acne from the root. Use it regularly to get rid of any persistent pimples, blemishes and scars too. Extremely affordable and effective, this acne-n-pimple cream works as an antibacterial and skin softening cream. It has extracts of lentils, silk cotton tree, chaste tree, Barbados, alum and aloe vera. This extremely natural and effective combination of ingredients has astringent, soothing, moisturising and anti-inflammatory properties. This is a gel-based acne cream that’s perfect for anyone with oily skin. Since the texture of the product is gel based, it won’t make your skin oily or aggravate acne. It enhances the blood circulation while helping get rid of hyperpigmentation, blemishes and dark spots. Best suited for people with oily and acne prone skin, this herbal cream contains extracts of wintergreen that will soothe and cool your skin while getting rid of any acne-causing bacteria. This cream has extracts of sandalwood, neem, tea tree, long pepper, cloves, wintergreen and beeswax. It will help clear any active acne, prevent future acne and heals any existing scars and blemishes. The sandalwood extracts help brighten your skin and lighten any acne scars. This is more of a spot treatment than a pimple cream. Use this gel over any active acne once or twice a day. It’s got salicylic acid and sulfur to relieve inflammation caused by acne and Vitamin E to soothe your skin. This anti-acne cream has clove extracts to get rid of those painful pimples. Cloves have an excellent antiseptic property that helps bring down inflammation, control the sebum production on your skin and heal blemishes. This all-natural pimple cream is made with a powerhouse of anti-acne ingredients. It has neem, basil, calendula, clove, cinnamon bark, lavender, tea tree, camphor and turmeric in a shea butter base. It’s going to moisturise your skin and get rid of any acne-causing bacteria. It’s astringent, cooling and soothing properties will ensure that your skin is moisturized and your existing pimples are pushed into healing. This cream will treat and clear out your pores leaving your skin acne free and soft. It has ingredients like sage, thyme, neem, clove and tea tree, all of which are known to be miraculous healers for acne. It's fragrance and colour free so it’s perfect for sensitive skin. This cream is perfect for those of you who have excessively oily skin. It tightens your pores, controls oil production and makes your pores appear smaller. With daily use, it will regulate your sebum levels, thereby reducing pimples. This multi-purpose cream not only keeps acne at bay, but it also helps fade your blemishes. It contains natural herbal extracts and ingredients like Holy Basil, Indian Madder, Fumitory, Sandalwood, Nutmeg, Buchananai Lanzan and Lemon Peel to keep your skin blemish free. It helps improve the texture and the overall health of your skin. All the ingredients work together to prevent further acne from forming. This is a potent spot treatment with ingredients like sulfur, niacinamide, glycolic acid and aloe to rid your skin of any acne, reduce the recurrence and treat the blemishes it leaves behind. It reduces any redness from the acne and pushes your skin into recovery mode so that the blemishes fade away sooner! This acne repair kit contains 3 potent acne treatments that can be used to treat all kinds of pimples. The Drying Lotion is a spot treatment that helps get rid of all those pimples and whiteheads on the surface. The drying cream can be used on under the surface pimples that have been lingering around for a while. This cream reaches the under layers of your skin and speeds up their drying process. The buffering lotion is a watery spot treatment that targets under the surface pimples and reduces redness and blemishes. If you don’t want to use any specific pimple creams to heal and prevent breakouts and inflamed pores, it would be recommended that you use ingredients that are known to calm and heal acne and prevent it from forming. 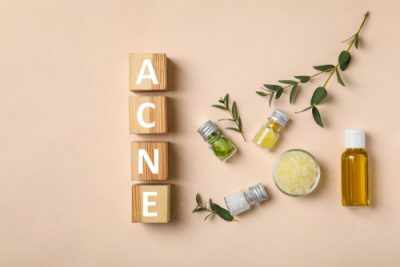 Ingredients like salicylic acid and tea tree oil are supposed to be some of the most famous acne curing ingredients. But there are many more. Here is a list of ingredients that help get rid of pimples, clear your pores and help your skin maintain an acne-free appearance. Look for skincare, makeup and beauty products that have one or more of these ingredients.